Chris: This was my bedroom. It's yours for the weekend. Debbie: Chris? I don't mean to be picky or anything, but where's the bed? Chris: Oh. It's right here. Q: What happened between Chris and Jason in the past? Q: What are the differences between the UK VHS release and the uncut releases? Not As Good As Part 2. In "Friday the 13th Part 3: 3-D", Jason has returned again for more teenage slaughter. 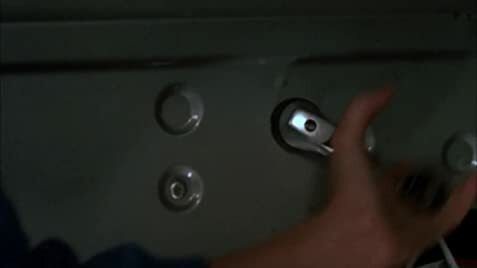 This time he's targeting some teenagers who are spending the weekend in a summerhouse near Camp Crystal Lake, like he does in almost every sequel that follows this one. I will say that I haven't seen this movie in it's original 3-D format, I saw it on DVD, so I'm guessing it was much better in 3-D than it is in 2-D. 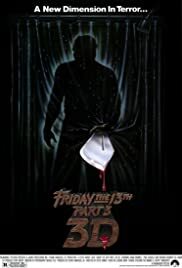 I enjoyed "Friday the 13th Part 2" better than "Part 3". This film does have some slightly suspenseful moments, and the acting is downright awful, which really doesn't matter because this is a "Friday the 13th" sequel. But still, this one didn't work for me. When I see these movies I don't expect top notch acting. Also some of the killings have horrible effects jobs and they look worse than fake. It has the horror elements in there, but it still isn't nearly as good as Part 2. I think the best thing about this movie is that it was the first of all of the sequels to introduce the infamous "hockey mask", which is now iconic. Not to mention, the original theater release was in 3-D. 5/10.